Kasuga can't help how she feels when she sees her gymnastics coach smile at her. The student council presidential elections were thrown into even more disarray when some foreign invader started shooting the place up with cannon fire from a flying ship. 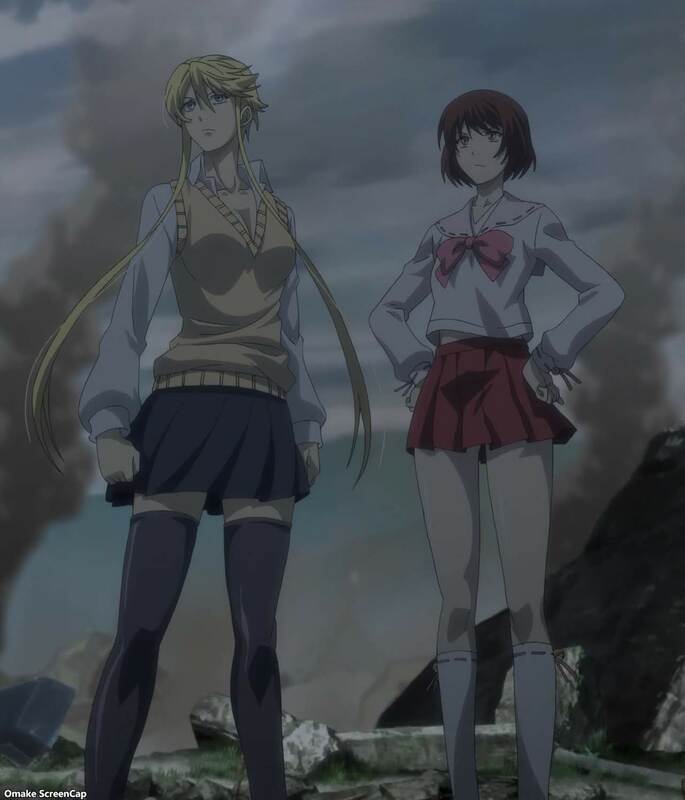 Kasuga and Tsuruhime were ready to strike back. 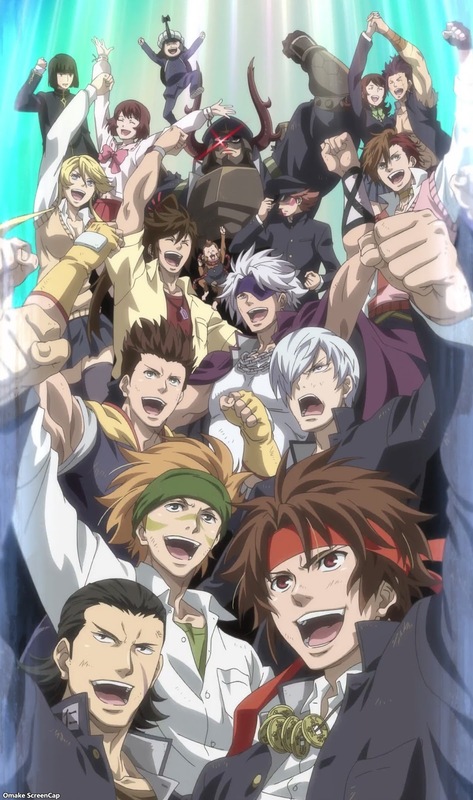 And the BASARA high school kids end the season united to fight against a common enemy. 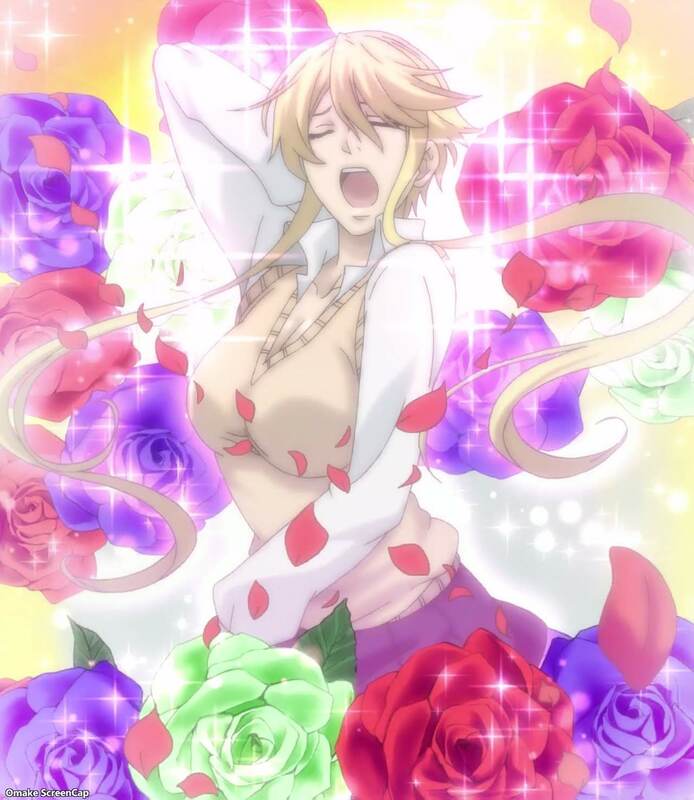 No, not Nobunaga, but someone else.